Paddington 2 is an entertaining film for the entire family and I’m sure fans of the Berenstain Bear books will get a kick out of this sequel, but even if you’re like me and are a part of only 1% of the population unfamiliar, it is still is quite fun. 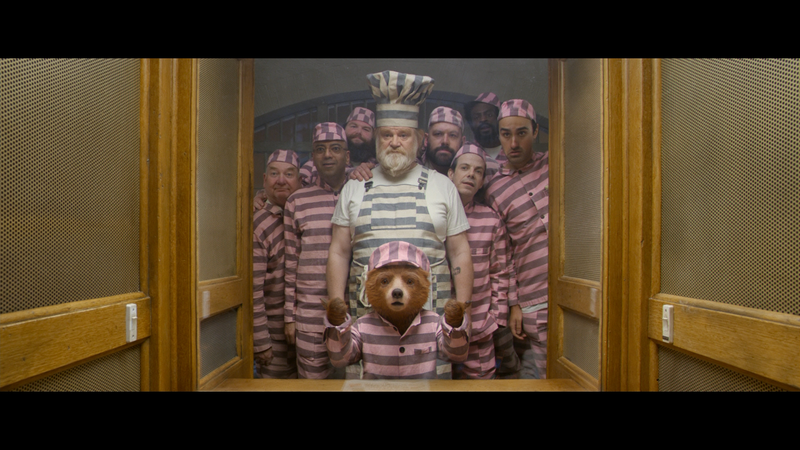 Plot Synopsis: Settled in with the Brown family, Paddington the bear (voiced by BEN WHISHAW) is a popular member of the community who spreads joy and marmalade wherever he goes. One fine day, he spots a pop-up book in an antique shop – the perfect present for his beloved aunt’s 100th birthday. 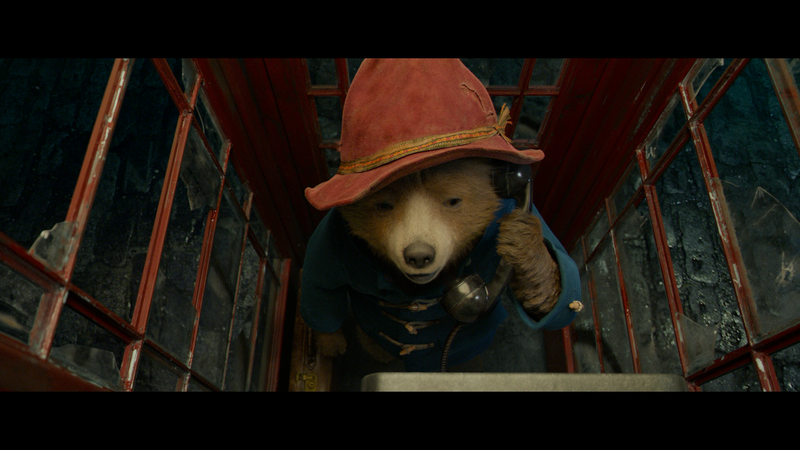 When a thief steals the prized book, Paddington embarks on an epic quest to unmask the culprit before Aunt Lucy’s big celebration. Quick Hit Review: I’m not overly familiar with the Berenstain Bear line of books other than having heard of it and don’t exactly recall ever reading it in my childhood, so I’m going into this knowing nothing of the source material, it is a fun and entertaining enough film for the entire family with some genuine laughs and a strong message at its core. This comes with a matted slip cover and included is a Digital HD redemption code. Audio Commentary – Co-Writer/Director Paul King takes us through the process of helming (and writing) this sequel, speaking to the casting, locations and more. Paddington: The Bear Truth (5:20; HD) is your standard EPK-like making-of featurette on bringing the loveable bear back onto the big screen for this sequel, with interviews with members of the cast and crew. How to Make a Marmalade Sandwich (2:42; HD) – Ever wanted to make your own sandwich as featured in the film? Well, now you can, using the “secret” recipe. Music Video (1:34; HD) is a performance by Hugh Grant as Phoenix Buchanan. The Magical Mystery of Paddington’s Pop-Up Book (3:03; HD) takes a closer look at the pop-up book at the center of the movie. The Browns and Paddington: A Special Bond (5:43; HD) looks at the family dynamic of the Brown family both within and outside the film. Knuckles: A Fistful of Marmalade (2:30; HD) is on the character portrayed by Brendan Gleeson. The (Once) Famous Faces of Phoenix Buchanan (3:45; HD) profiles the film’s villain as played by Hugh Grant. 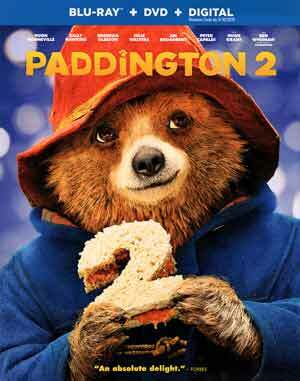 Paddington 2 is presented in its original theatrical 2.40 widescreen aspect ratio and a 1080p high-definition transfer. The picture looks fantastic, detail is incredibly sharp and not just the CGI’d parts, but the live action ones as well. Colors, in keeping with the family-centric tone, are bright and pop off the screen. Shame this didn’t get a 4K release here in the States, but this will do. The film receives a strong and finely balanced Dolby Atmos track which might seem a bit of overkill for a family flick, but does get some good usage showcasing crisp dialogue levels along with good depth when there is some more adventure-centric sequences, and that’s not to mention the light-hearted score. Overall, Paddington 2 is an entertaining film for the entire family and I’m sure fans of the Berenstain Bear books will get a kick out of this sequel, but even if you’re like me and are a part of only 1% of the population unfamiliar, it is still is quite fun. This Blu-ray release comes with some so-so and basic bonus features but incredible video/audio transfers.